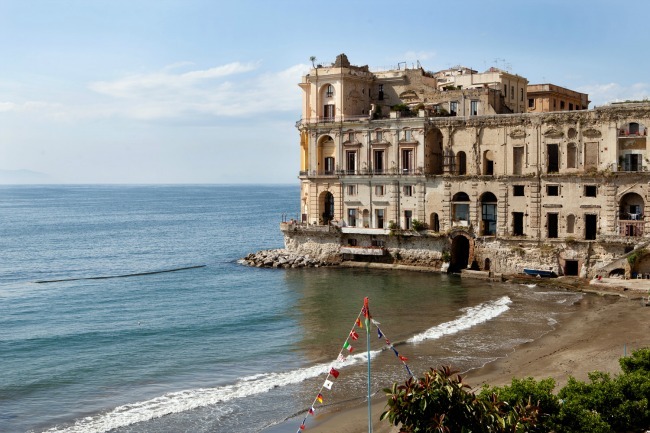 Many travelers zip through Naples on their way to Sorrento or the Amalfi Coast, or think of it as just a point of arrival or departure for exploring the area. But that means you’re missing a remarkable place, full of history and energy and an Italian allure all its own. I could get lost in the images of photographer Carla Coulson. When I found out recently about her photography workshop in Naples, I couldn’t resist sharing about it here. 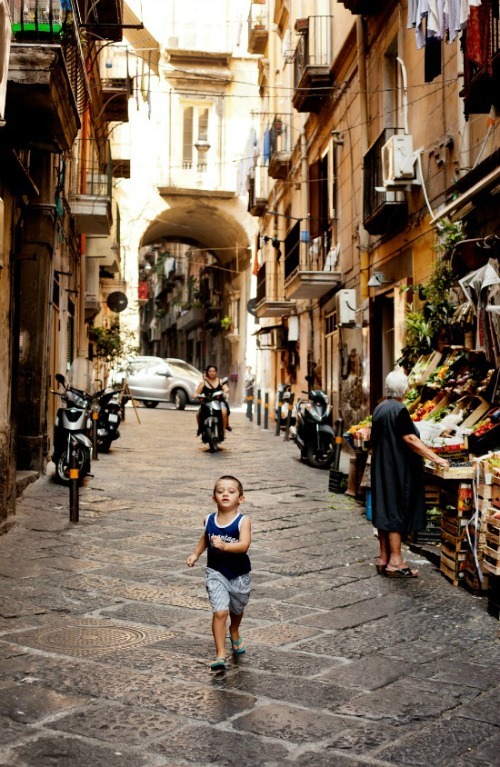 Her photos capture that impossible to pin down allure of Naples – intensely beautiful, gritty, vibrant, diverse. 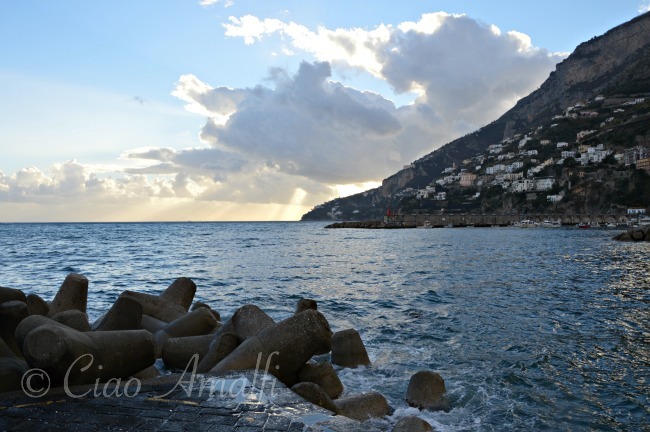 I asked Carla to share more about this city she loves and about her Naples photography workshop. 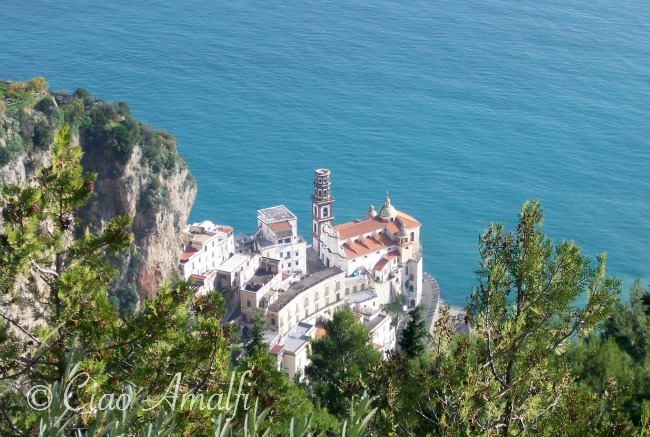 May this encourage you to explore Naples as well on your next visit to the Amalfi Coast! What first brought you to Naples and when did you know you were smitten? I was in Lecce way back in 2001 in front of one of its beautiful baroque churches and all of a sudden I was encircled by a group of Neapolitan women. Somehow I ended up lunching with them and they were so proud and enthusiastic about their city I ended up taking the train a couple of days later to Naples. I stayed in the heart of Spaccanapoli in a funny old Pensione and walked out into the streets and couldn’t believe my eyes, in less than an hour I was smitten with the place. It was like street theatre on every corner. You’ve described Naples as “raw, emotional, fast, voluptuous, confronting and generous.” Is is that blend of characteristics that draws you back? I feel like you could draw a circle around Naples and it could be its own country. In ways it’s very Italian but in other ways it’s a whole new world, like Asia had a train crash with Italy! Each time I arrive in Naples I have the same feeling of awe as the first time I visited, there are so many contrasts and so much that still exists that has already disappeared from other parts of Italy. There markets and shops are overflowing with products, the architecture is grand and regal but with that “Cuban” faded patina and whole families glide around the streets of Vespas. I was warned each time I travelled to be careful but the Neapolitans were always so generous. 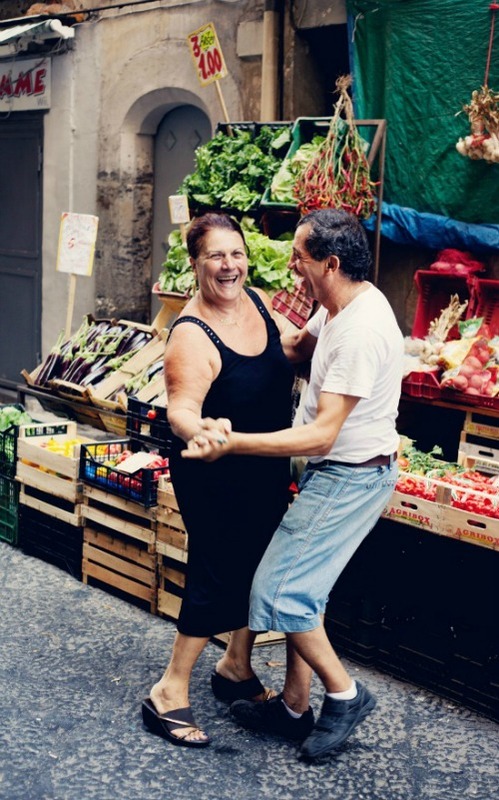 What emotions do you enjoy capturing in your photographs of Naples? I love to capture their passion for life, love, faith, family and music. Neapolitans are very easy and open with their emotions and it makes it a joy to take photos in Naples. 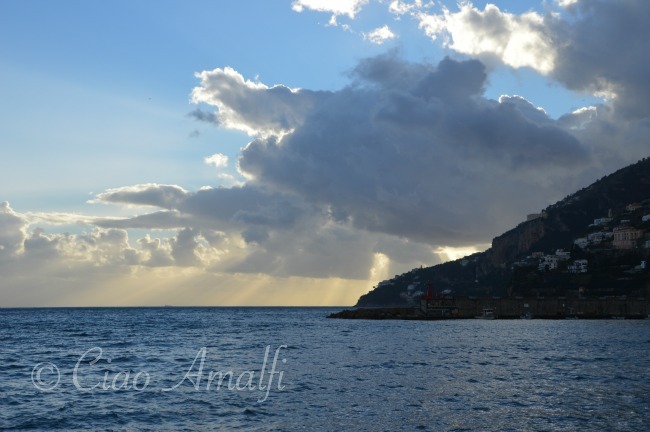 Why did you choose Naples for your photography workshop? I wanted to offer a unique opportunity to travel somewhere that maybe a lot of people hadn’t been and where there is a rich daily life that is inspiring to photograph. It would have been easy to go to a place like Venice but Naples makes my heart beat harder and I have always followed my heart. I think the people coming on the workshop will have the time of their life and start a life long love affair with this special place. What is the one thing you wish every traveler knew about Naples? There is so much to learn from Neapolitans, they have a great sense of humour, l’art d’arrangarsi (the art of getting by) which makes them extraordinarily creative when the chips are down but the one great life lesson we all could learn from Neapolitans is to live for the day. I have never seen a population take these words and truly live them. I have been told over and over again in Naples “that tomorrow can wait.” I think this is a beautiful way to live as you get the most out of today without the anxiety of thinking about the future. 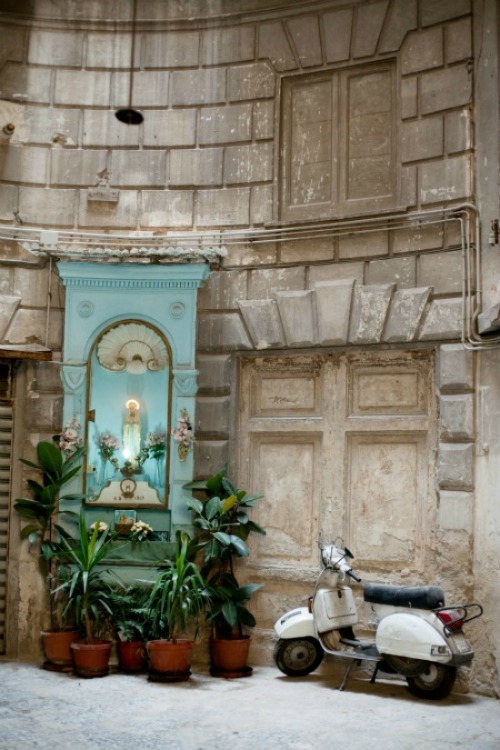 If you’d love to take your photography to a new level and discover Naples at the same time, then you’ll want to check out the Intrepid – Naples Unedited photography workshop with Carla Coulson. There aren’t many spots left, so don’t miss your chance! 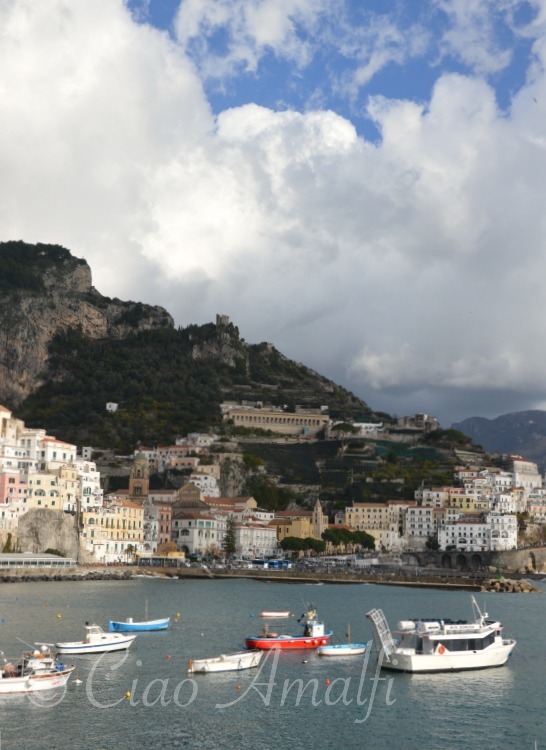 A quiet afternoon not long ago I found myself walking along the waterfront in Amalfi with my husband. Sometimes hand in hand and other times meandering along, bumping into one another as you do when walking on uneven cobblestones. Somehow that has become just as romantic as walking hand in hand, perhaps even more so since it feels so natural. As February approaches, I often find myself thinking back over my time in Italy. My first visit was a particularly sunny and warm February nine years ago now. Nine years. As I watched the waves roll in and the white foam create delicate patterns on the beach, only to be washed out again seconds later, it felt like the last nine years was something just like that. Beautiful, soothing and fleeting. With a few crashes of pounding angry waves along the way of course. Perhaps there’s nothing quite so good for reflection as the sea. 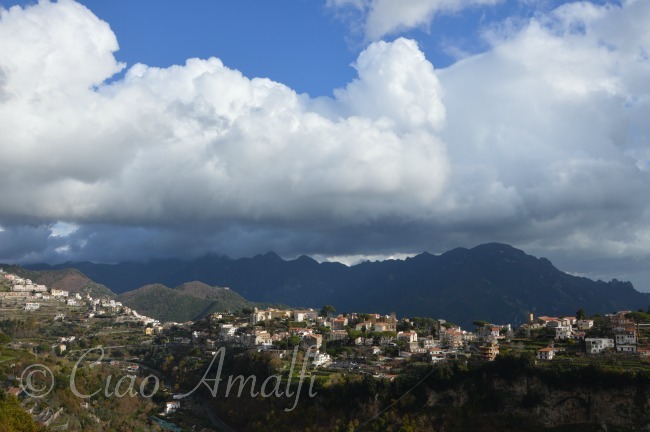 There’s certainly no better time for that in Amalfi than during the quiet days of January and February. I treasure these days like you might a little piece of colorful sea glass washed up on the shore, nestled amid rough edged rocks and tidbits of intricately pattered yet somehow still old fashioned looking ceramic tiles. It seems like a gem and a gift all at once. That’s when I’ll reach for my husband’s hand while we walk along, tucking this beautiful moment into my pocket like that piece of sea glass. It’s those quiet winter months on the Amalfi Coast when everyone is dreaming of the sweet scents of spring and those lazy, hazy days of summer days to come. This is the time of year when comments start pouring in on Instagram and here on Ciao Amalfi from people around the world dreaming about upcoming vacations to the Amalfi Coast. So since we’re all in the mood for a bit of travel dreaming, I’ve put together a collection of the most stunning and inspiring aerial videos I’ve seen of the Amalfi Coast. Set them full screen, sit back and get ready to dream! Be prepared to be swept away by this incredible aerial video that starts in Sorrento, continues to Capri and then goes along the Amalfi Coast to Positano. 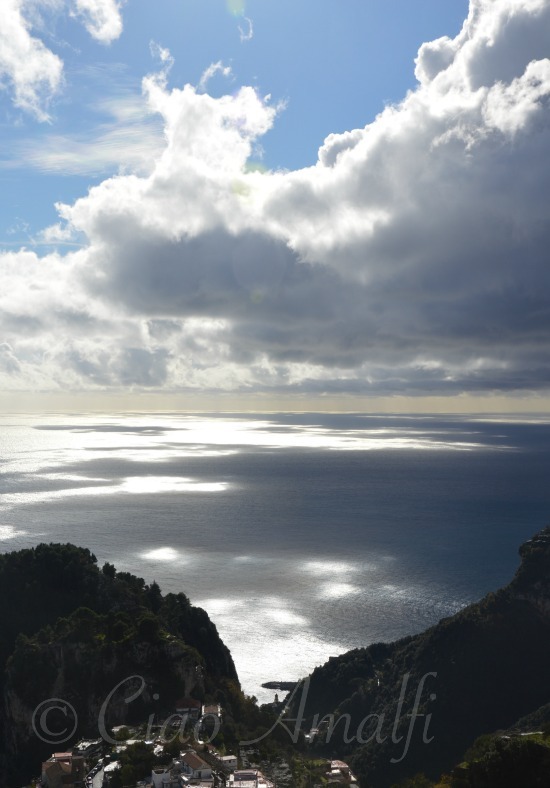 The view on Capri as the video rises over Monte Solaro is breathtaking! The peak of Monte Solaro is the highest point on the island of Capri and visiting there one of my favorite things to do on the island. You can easily reach the top from Anacapri thanks to a super fun chairlift. (Read about it here.) I’ve never seen anything that comes so close to capturing that incredible vista or the feeling of standing up there, peering over the edge with the sea breeze blowing in your face. With sweeping views over Positano and the ever so catchy “Volare” by Dean Martin to accompany it, this is a video I could watch over and over again. It’s no secret, I have. However, if someone who knows Positano even better than me could let me know which hotel is having that wedding in the video I would love it. (Is it L’Ancora?) 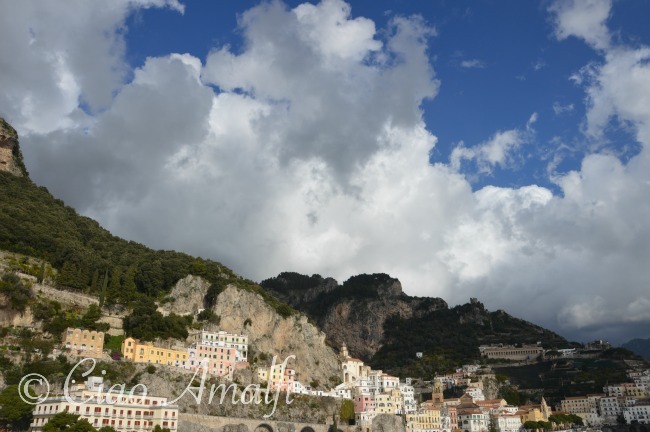 I shared this video last week on the Ciao Amalfi Facebook page and got such a great response that it inspired this blog post! My good friends over at Exclusive Cruises made this fabulous video that captures how much fun it is to rent a boat on the Amalfi Coast. I particularly love the scene that pans up the Duomo of Amalfi. 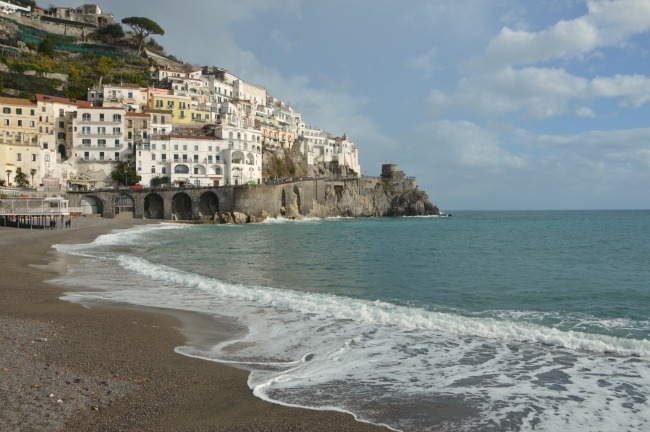 And, yes, you simply must experience the Amalfi Coast from the sea on your next visit. Exclusive Cruises can show you how! I shared this aerial video from Salerno to Amalfi a couple of years ago, but it’s too good not to share again. 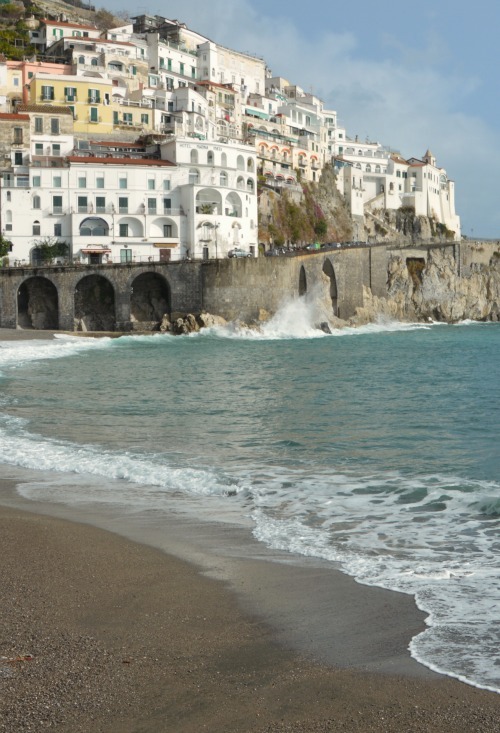 It covers Atrani and Amalfi especially well. So combined with the other videos in this blog post you can take an aerial tour from Salerno along the Amalfi Coast to Sorrento and even Capri! This beautiful video was created by Citroën, so naturally it features the Amalfi Coast drive as well as incredible drone footage. Love the aerial shot of the Marina di Praia beach in Praiano!